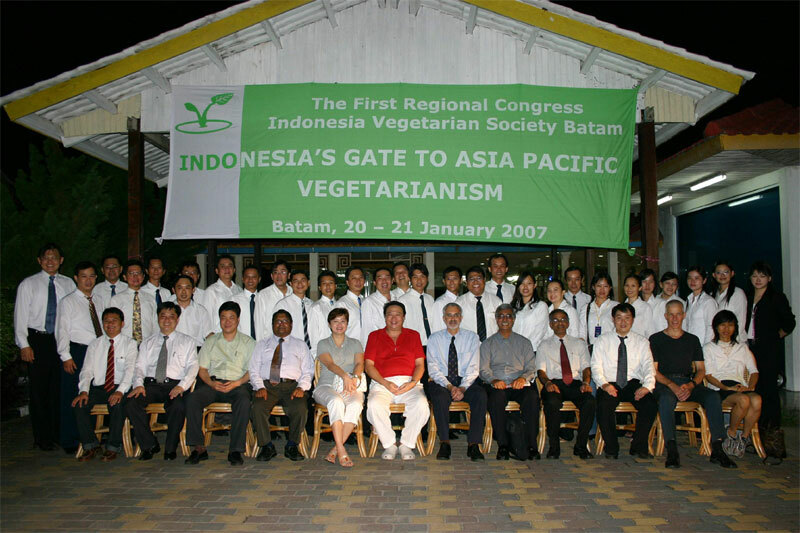 20-21 January 2007 - a regional congress of IVS (Indonesia) - VSS (Singapore) - MVS (Malaysia) on located in Batam island (Indonesia) which is only 45 minutes from Singapore by ferry. below: (Vegetarian) Cheese..... Participants of the conference pose and smile for picture-taking before the opening of the regional conference. From overseas, Vegetarian Society (Singapore) is the society to send the largest team.